The following is the Greater Grand Rapids Ski Club's policy regarding trips and activities, as approved by your Board of Directors. It is being published to promote a thorough understanding of club policy and to enhance the enjoyment of everyone involved. The terms of this policy apply to ALL trips, so please read and become familiar with it. Disclaimer: Greater Grand Rapids Ski Club, it's board of directors, officers, leaders and member -at-large are not responsible for theft, injury or death occurring during any ski club activity. 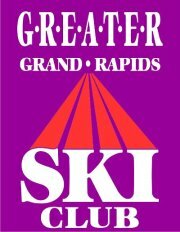 Only GGRSC members or persons associated through the Metro Detroit Ski Council (MDSC) in good standing are eligible to go on any overnight trip arranged and offered by the club. Current clubs affiliated with the MDSC may be found at www.mdscski.org/ Each trip will have assigned a designated Trip Leader. This person will be in charge of all sign-ups and collection of monies for their respective trips. No reservations will be made until the Trip Leader/Assistant Trip Leader receives the appropriate deposit. Information will be published for each trip with the total cost and a payment schedule. Adherence to this schedule is necessary. You must be current with your payments or be subject to losing your spot on the trip. If there are extra costs for an additional trip participant on a specific trip, these fees will be paid by that trip participant. Any unforeseen additional trip costs will be assessed to all trip participants. Any member wishing to be placed on an already full trip will first be placed on a stand-by list in the order deposits and trip applications are received. In the event of an opening on the trip, all reasonable efforts will be made to contact the member at the top of the list before moving on to the next person on the list. Once a stand-by accepts and is confirmed, they are subject to all applicable terms of the trip policy. Members on the stand-by list may cancel at any time and receive a full refund, including the administrative fee. Refusal of an offer to accept an opening on a trip will be considered a stand-by cancellation. All cancellations will be subject to a cancellation fee plus any expenses the club incurs because of your cancellation. MINIMUM CANCELLATION FEE of $10 day trip, $35 all other trips. Bus trip cancellations within 72 hours of trip will be $40 (with review for special circumstances). Passenger bears full financial responsibility or any and all costs due to cancellation or any change in or departure from the itinerary. Trip director shall determine individual cancellation fees in accordance with the expenses of that particular activity. In no case shall the cancellation fees exceed the applicant's cost of the activity. A member may not sell or give away their spot on any trip. The Trip Leader and Trip Assistant will use all reasonable efforts to find a replacement. Getting a replacement does not necessarily lessen the penalty charged to the canceling member. The Board reserves the right to delay any final refund decision until after the trip is completed and a final accounting is prepared. The Board reserves the right to cancel any trip for any reason. Policy applies to ALL member cancellations, for whatever reason. Any member has the right to appeal to the board any decision that has been made. The club will make very effort to provide the requested lodging (2/room, 4/room, etc.) If this is not possible, the member will be charged for the actual lodging used. Trips are for members ONLY unless otherwise specified. Non-members may participate in one-day bus trips at a premium price. No overnight visitors are allowed to stay in any resort room reserved by GGRSC during any of the trips UNLESS (a.) All other occupants of this same room agree to more people in their room and (b.) the visitor agrees to pay the same price as the other occupants. All departure times will be announced in advance of the trip date. Be there on time or you will be left behind. All members will conduct themselves in a manner that best reflects the club as a whole. GGRSC assumes no responsibility for personal injury, legal confrontations, or property destruction caused by or suffered by any member. The use of illegal drugs or under-aged drinking of alcoholic beverages will not be tolerated. Offenders will be asked to immediately leave the trip, without a refund, and are subject to loss of club membership. The Board will review all noncompliance and complaints regarding the administration of this policy. The Board reserves the right to change trip and travel arrangements as necessary due to availability or other factors without prior notice to the club members. Receipt by the club of your deposit monies indicates that you have read and understand the policy and agree to the payment schedule for each trip.